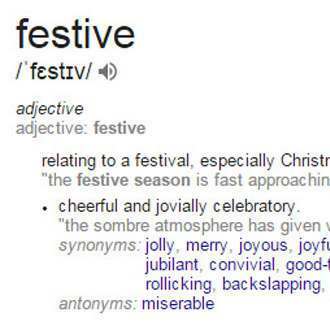 So Christmas is well and truly over! But, if you’re anything like me and can’t quite face the depressing task of putting all your Christmas decorations away, then we have a couple of ways you can keep some of those lights up (obviously without looking like you’re too lazy to take your Christmas lights down). 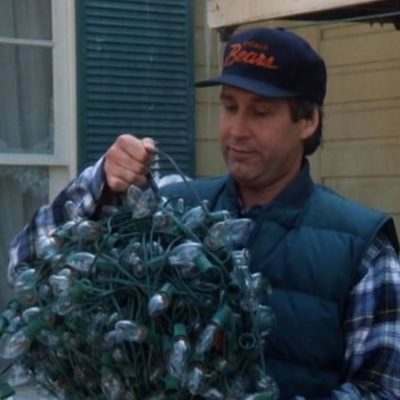 We do understand that one of the most appealing things about keeping your Christmas lights out is that it’s easier than putting them all back into storage; so don’t worry, all of these ideas are simple and hassle free. The only thing you should be worried about is loving your new set-up so much that you have to buy more Christmas lights next year! 1. First, let’s talk about those curtain lights that looked so beautiful that you can’t bear to take them down, well now you don’t have to. Who would have thought that curtain lights could look better than a head board! You can either hang them behind your bed or simply drape them over your existing head board. 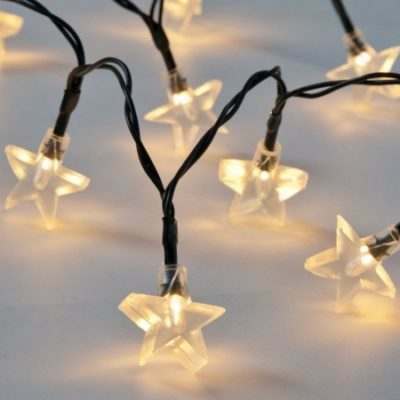 This works great with star shaped curtain lights too, without looking overly festive. If you don’t want to lose that warm, homely glow you got from your Christmas tree this year, then you don’t have to! 1. We love hanging fairy lights around windows, it looks especially cosy in a child’s bedroom and is a great alternative to a nightlight. 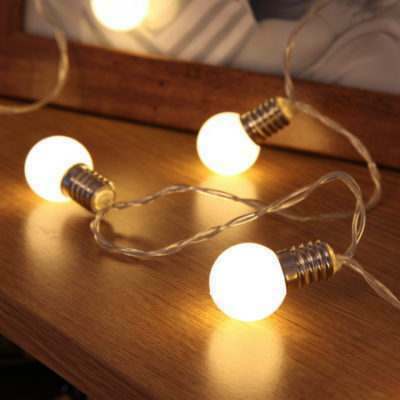 And you don’t have to worry about fire hazards when hanging lights near curtains anymore, as long as your fairy lights are LEDs they will always be safe and cool to the touch. 2. Here’s a really easy one for you: just grab those lights that would have otherwise been hidden away for 11 months and throw them into your favourite jar for an enchanting focal piece! This idea is also great for those lights that you couldn’t quite get completely untangled before Christmas. 3. This one might look a bit tricky but it’s really not, simply take your Christmas lights and some tulle, then cut the tulle into small rectangles and tie them round each LED. Voila you have the romantic dressing table you’ve always dreamed of. 4. This is a great idea for teenagers or anyone who has just moved away to university. Instead of displaying Christmas cards you can use fairy lights as a stylish way to display all your photos and memories. 5. Now, this one might take a tiny little bit more time and patience but the end results are worth it! 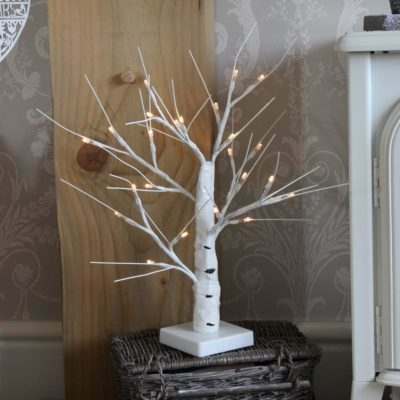 Why not use your Christmas lights to make a new stylish centrepiece/ bedside light? 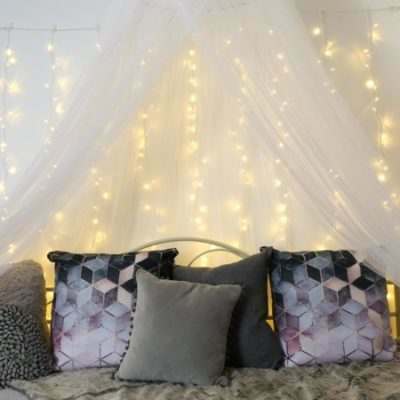 If you have the time, this is the perfect DIY project for those battery fairy lights in an area that needs more light but doesn’t have a light fitting. 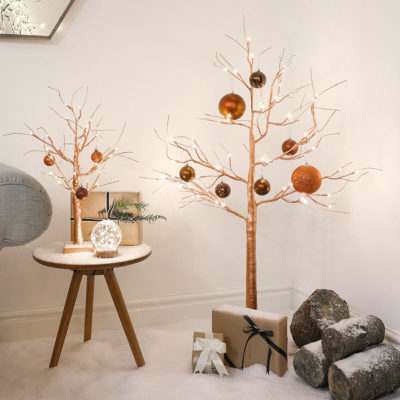 However, if this still looks like a bit too much work for you, then you could always go back to idea No2 and use a jar of fairy lights instead. 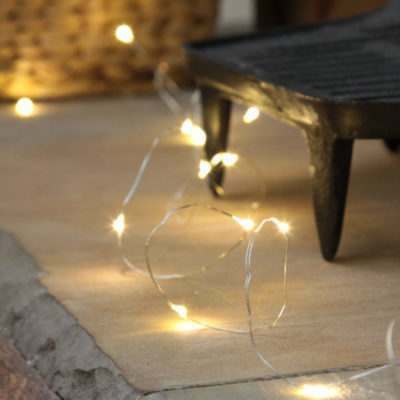 We hope we’ve been able to give you a little inspiration on how to keep those Christmas lights up all year round, but, if you’re still planning on putting your lights away, please see our guide on how to store your Christmas lights.